Robin's Eccentricities: Yes, this again. Nope, it's not a recipe, remedy or some cutesy thing. But please continue to read. The Fort Hood Shootings. Yep. I'm on that subject again. I am only one voice but each voice that speaks up might get this 'workplace violence' changed to what it really is. An act of terror. It was nothing less. 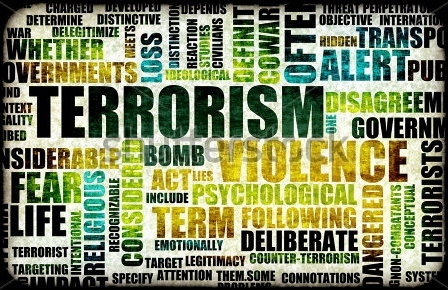 The definition of terrorism: "Systematic use of violence to create a general climate of fear in a population and thereby to bring about a particular political objective." I can tell you that that day I personally felt terror. It was chaos until all the details were in. You could hear the big voice telling you to close all your windows, lock your doors, shut off the air, this is not a drill. Yes, terror is what was felt that day. I cannot even begin to imagine what it was like at the SRP site. I was 1 1/2 miles away. My heart still hurts for all those killed and injured. If I had to define workplace violence it would be about an employee that was not happy about his job for one reason or another, or perhaps that he got fired. Not about taking out a bunch of people in the name of Jihad. 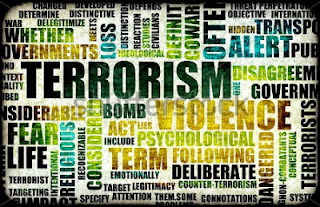 The ruling on the Fort Hood shootings is to leave it as workplace violence so the trial won't be influenced if it's named terrorism. SAY WHAT???!!! (Pardon me....WTH???) WHY do they keep catering to this creep? Okay, I have to stop. It all makes me just sick. So, watch the video, sign the petition if you feel moved to do so. Just watching the video my stomach is sick and I feel panicky. My hubby, friends, and family was on fort hood that day. I am sorry but just hang the guy and get this crap over with. I agree why are we catering to this heartless SOB. Workplace violence I feel is maybe a punch thrown. Not guns a blazing and people being KILLED!! Eh, sickening.